This one is an all time crowd favorite. 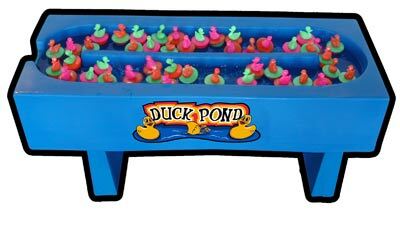 The ducks are moved around in the pond by a motor and the player chooses a duck out of the pond. Each duck has a number on the bottom and corresponds to a prize given away.